The Ukrainian men's national squash team has won a bronze medal in the European Team Championships Division 3 in Lisbon (Portugal), the Squash Federation of Ukraine has said on its website. The Ukrainian squad defeated the Norwegian team with a 2-1 score in the match for the third place. 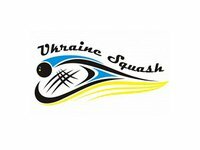 Squash veterans Kostiantyn Rybalchenko and Valeriy Fedoruk, along with young members Yaroslav Bagan, Dmytro Pogrebniak, and Artur Sikora were members of Ukraine's team.